Audi’s big news at the New York Auto Show was the introduction of its Audi Sport brand, but the company had one other surprise up its sleeve. 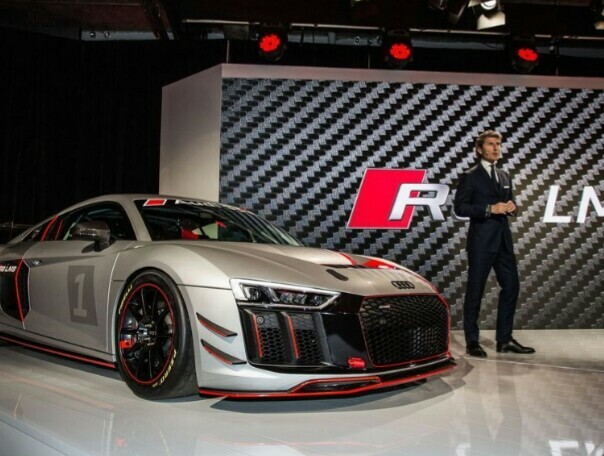 Audi used the backdrop of New York to unveil its latest race car, the Audi R8 LMS GT4. It’s meant for production-based racing, which means this car is directly related to the Audi R8 you’ll see out on the road. It’s not just a lookalike atop a completely bespoke race chassis, although, obviously, it’s been heavily modified for racing. 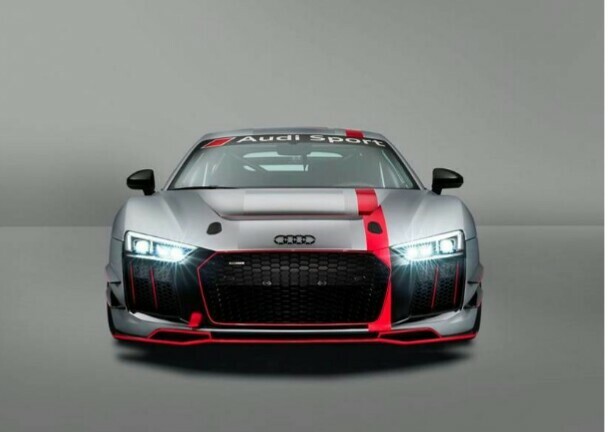 Audi says approximately 60 percent of the R8 LMS GT4’s parts come from the road-legal R8, which the automaker claims will help keep its purchase price from getting out of control. GT4 isn’t a series with a high cost of entry, and that’s intentional. Whereas other classes like GT3 are for full-time racing teams with big budgets, GT4 is largely for privateers — folks with money who want to become race car drivers. It appears that the GT4 sports the regular R8’s 5.2-liter V10, although power is down due to series regulations, from 602 horsepower to a maximum of 495 hp. It’ll compete alongside other factory GT4 cars from Porsche, McLaren, Aston Martin and Chevrolet. It should hit the track later this year, about the same time deliveries are scheduled to begin.